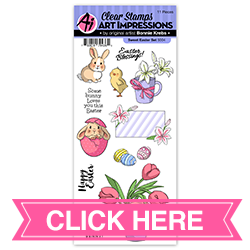 Art Impressions Blog: NEW Spring Holiday Clear Sets! Easter & St Patty's! PLUS Challenge 225 Sweet Treats! NEW Spring Holiday Clear Sets! Easter & St Patty's! 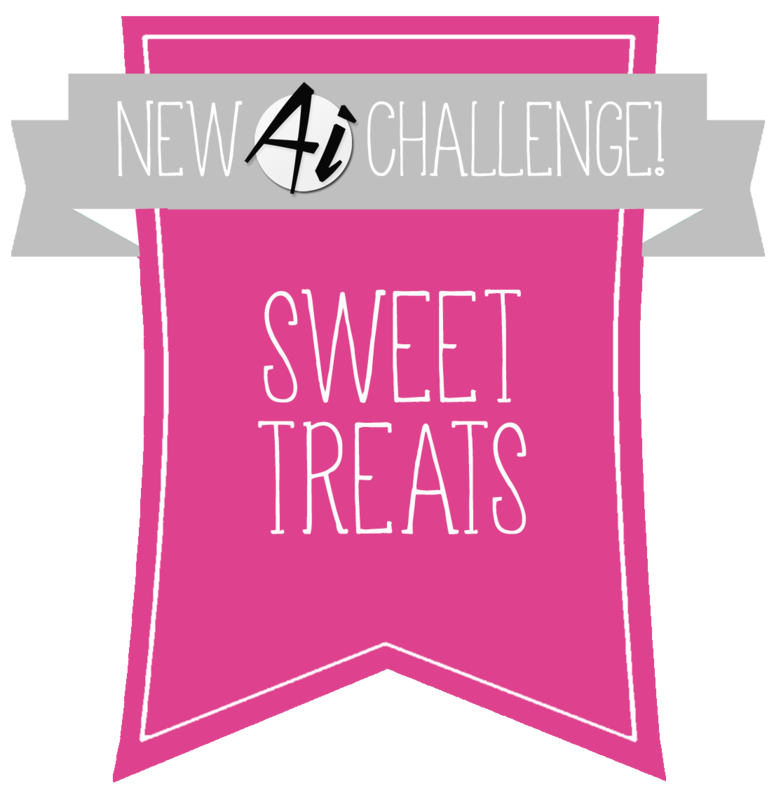 PLUS Challenge 225 Sweet Treats! 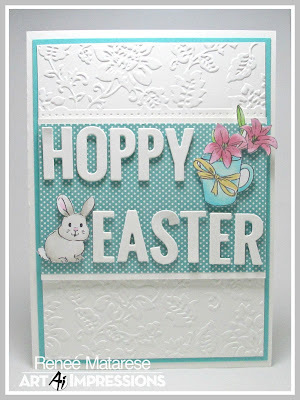 Hop into spring with TWO new holiday clear stamp sets! 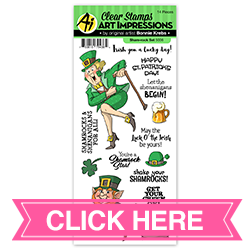 Wish someone a lucky St. Patrick's Day with our new Sham-rock Set, filled with iconic St. Patty's images and unique sentiments! 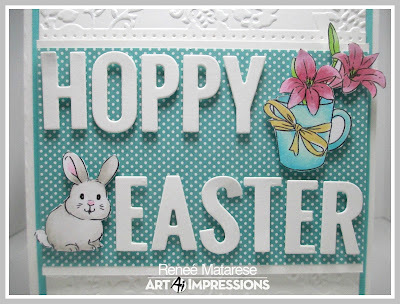 For Easter (which falls on April 1 this year), our Sweet Easter Set contains darling bunny and floral images for a delicate greeting card! 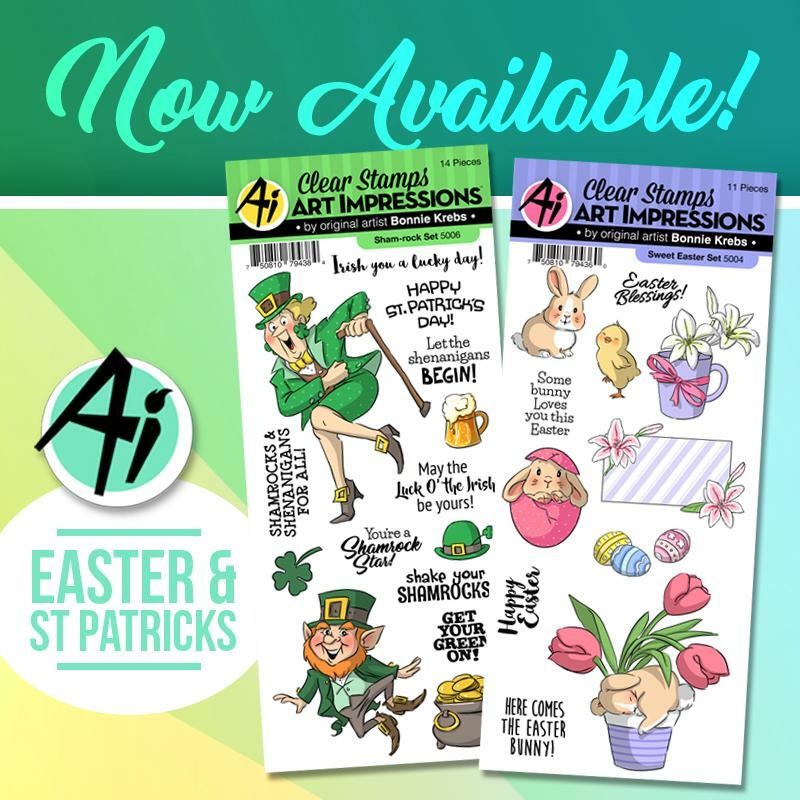 You can find both sets at artimpressions.com now! 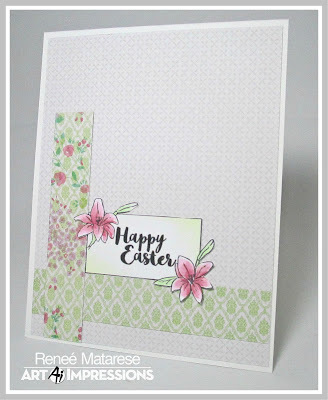 For inspiration, check out several cards from Renee as an intro to our new Sweet Treats challenge! 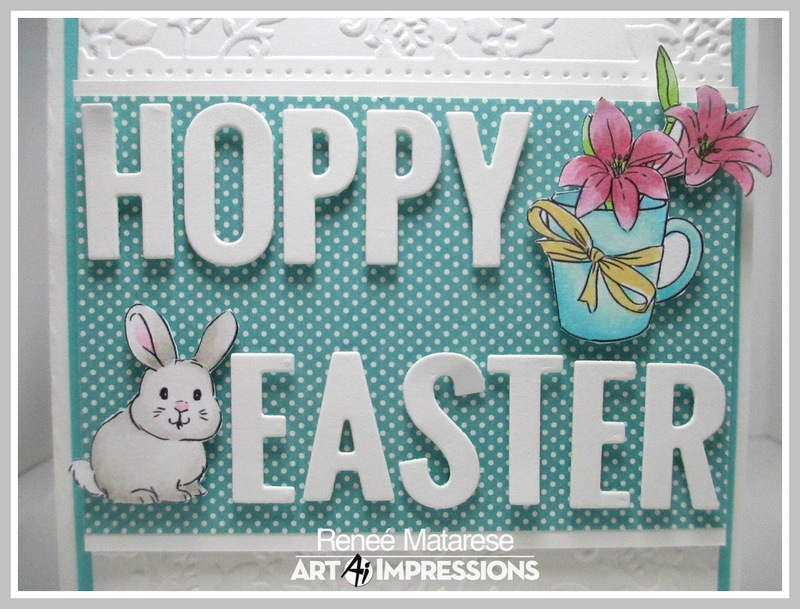 Today I'm over on the Art Impressions Blog and I'm getting to feature a brand new Easter set for you. The set is called Sweet Easter Set #5004. I've made three different cards and used every stamp from the set. Hmmm...can you tell how cute I think it is?? 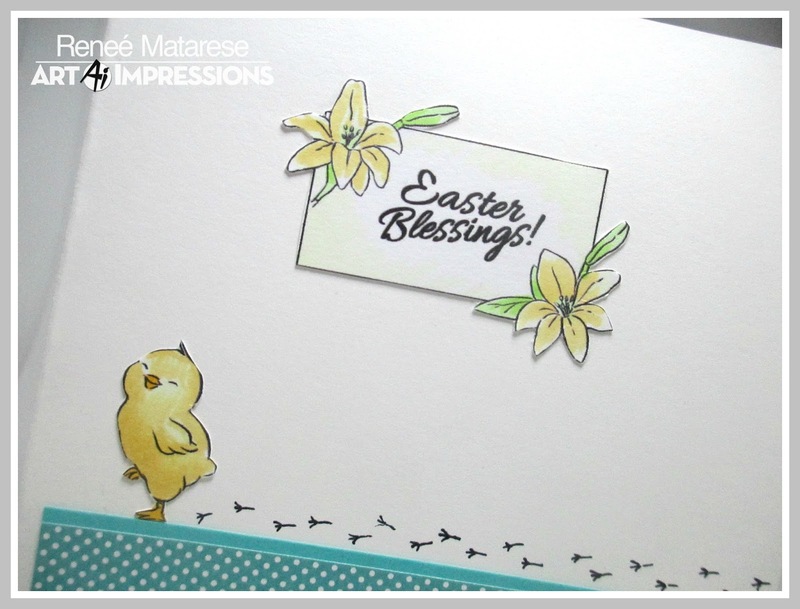 On the inside I added some little tracks for the cute little chick with a fine point marker. Don't you love that chubby little cutie? On my second card I used the largest image in the set. I just love this napping bunny. Think of all the fun designs you could do on the pot. I went traditional Terra cotta to pull in the colors from my designer paper. 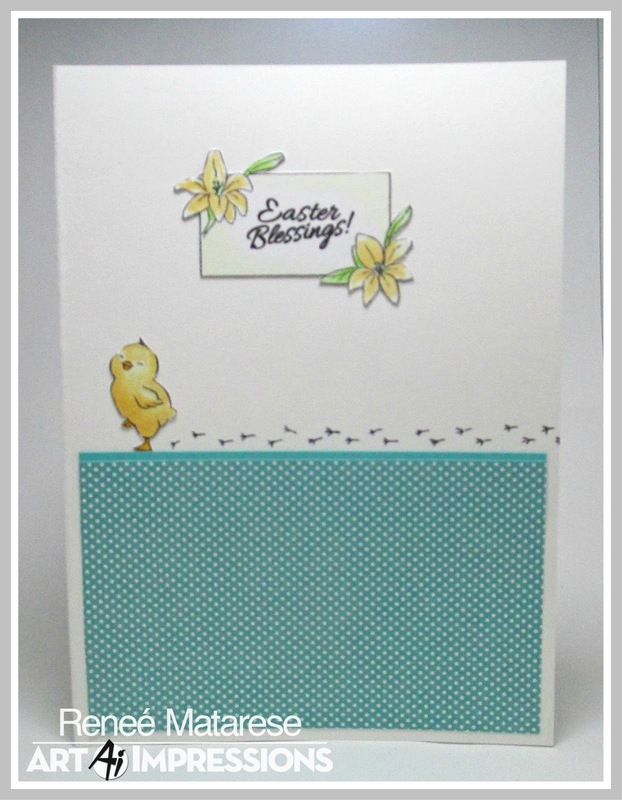 On my last card I used the most stinking cute bunny popping out of an egg. I accented the image with some of the adorable little decorated eggs in the set. Here's the inside of my last card. The frame actually comes blank and you can choose which sentiment you want to put inside of it. 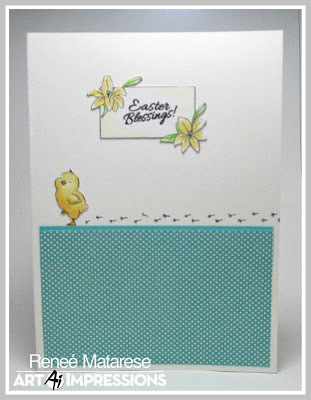 It would probably be cute for little place cards at your Easter dinner as well! Thank you, Renee! 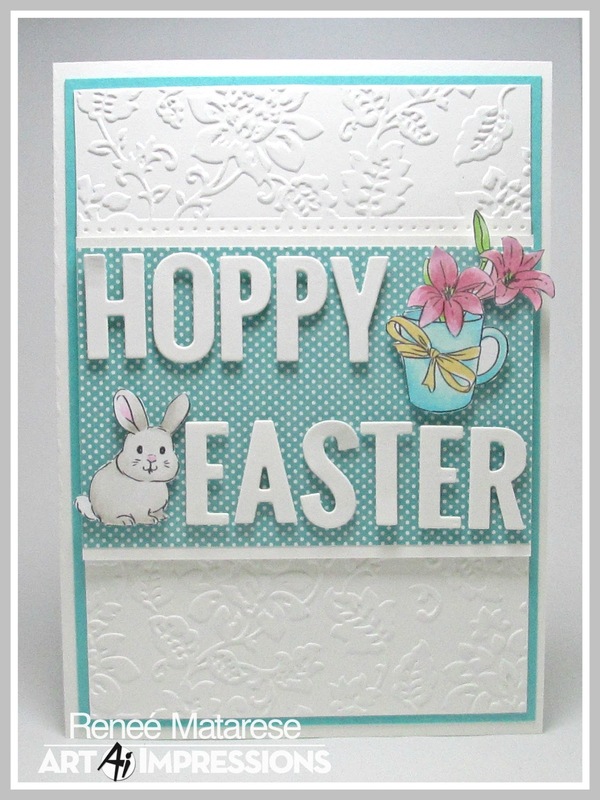 We adore your sweet Easter cards! 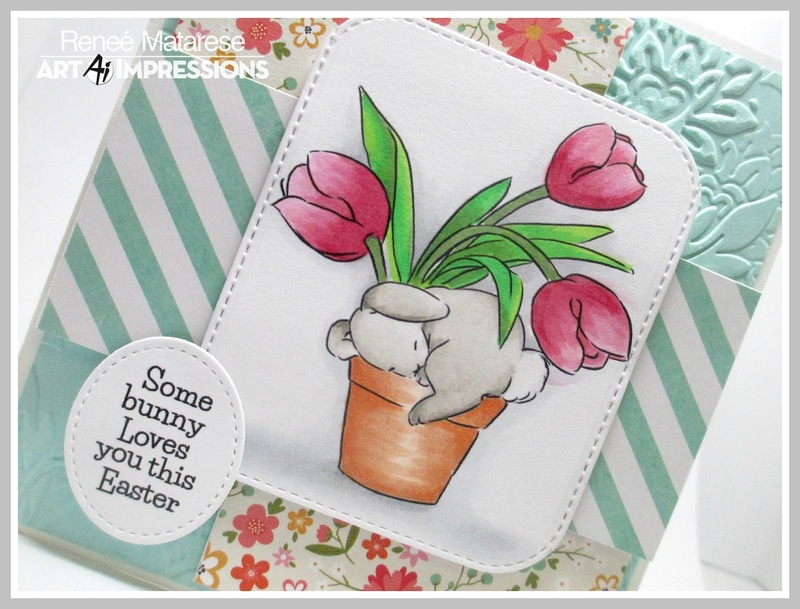 We love that you used every single image in your card collection today! We're kicking off a new challenge today! 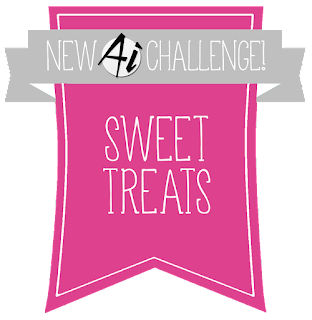 We thought with so many spring holidays coming up, it would be fun to host a "Sweet Treats" challenge! This is perfect if you're making cards or party accessories with goodies to satisfy a sweet tooth! Your project doesn't have to be food related, so just show us how you like to treat your friends with a hand made card! ✻ Make sure to get your link up by Wednesday, February 14 at 5:00 p.m. PST to enter your creations. Before we go, let's celebrate the winners of our "Feel The Love" challenge! Congrats, June! Not only are we touched that you scrapbooked a memory of meeting our team and helping at our booth! 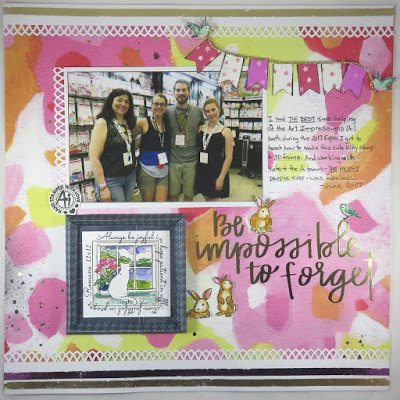 We love that you added our 3D Frame make & take you taught to your page, as well as all those little critter stamps from our watercolor collection! We are definitely feeling the love! 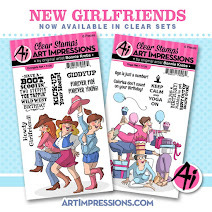 Email annelise@artimpressions.com with your address so we can send you your prize! Congrats, you two! 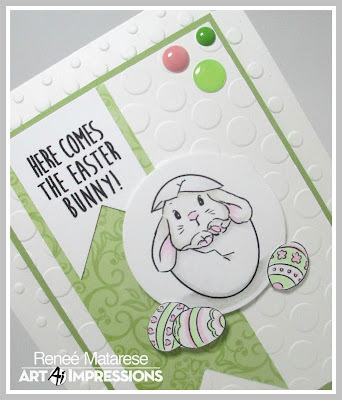 Milene, your Tweetheart card is just so sweet - and what pretty colors! Irene, your paper piecing with our Love Birds set is divine! Love the wall and floor you made, I bet they look so fun swinging around on the Action Wobble you used! 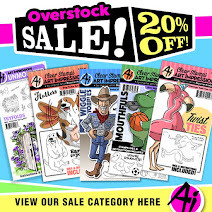 Please email annelise@artimpressions.com with your address and select a stamp set of your choice for a prize! We hope y'all will join us in our new challenge! Just FYI about the Sham-rock set. Those are not shamrocks but are 4-leaf clovers. A shamrock has only 3 leaves that represent the Father, Son and Holy Spirit. Just for future knowledge. 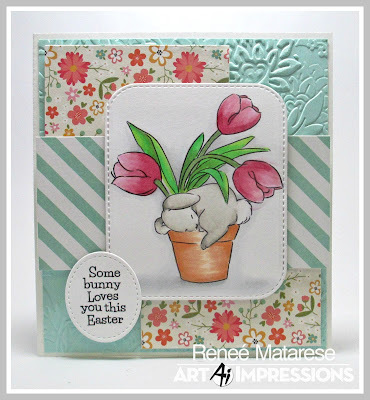 Oh, wow, I love that little bunny in the flower pot! So cute! Congrats to the winners of the last challenge! Congrats to the winners! 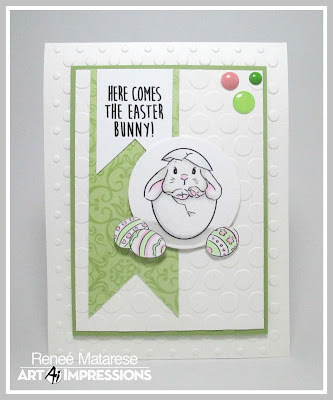 Renee your cards are so pretty! 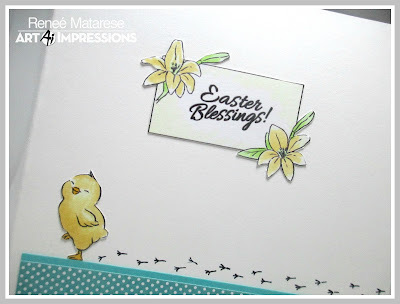 Love all the embossed papers and those little chick foot prints are adorable! 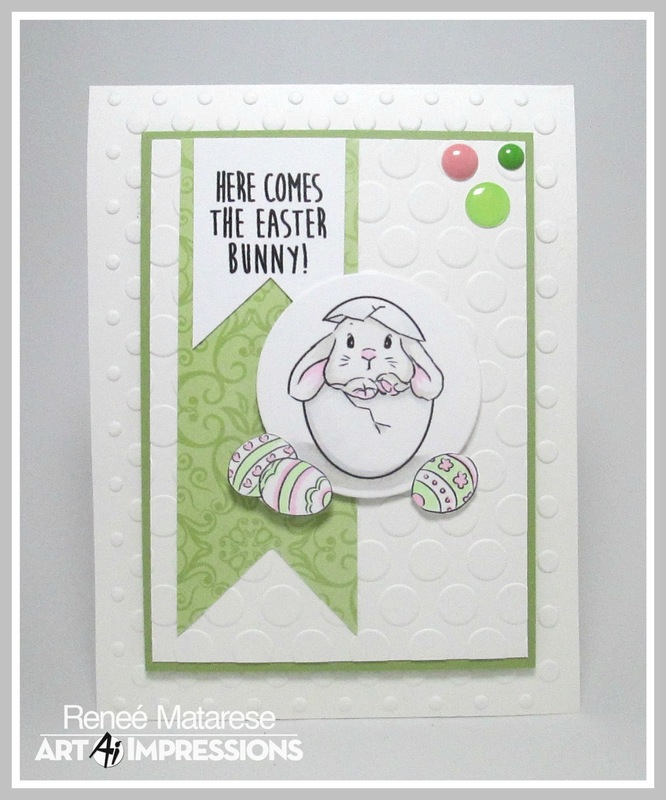 Oh Renee, you really captured the feel of this stamp set. 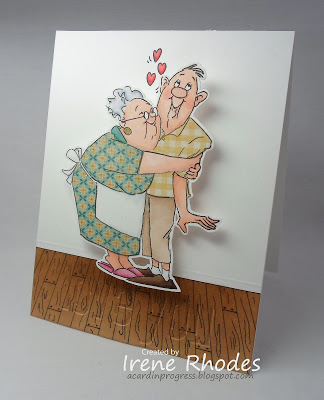 Your cards are so sweet! I love the soft feel to them. Congrats to all of the winners! Love this new release and all of Renee's sweet cards! Thank you so very much for picking my layout as your winner. I am so honored! This place was amazing! Great food, it's smaller than others I guess but it is still a fair sized fun. The decor at this venue was amazing as every note of music reverberates off the beautiful walls. Everything about the event locations is nothing less than 5 stars.